Scholkamy T.H., Samah F. Darwish, karima M. Mahmoud. To improve the effectiveness of vitrification procedure of buffalo oocytes, two experiments were conducted. The first experiment evaluated the effect of cryodevices on DNA integrity of vitrified, matured buffalo oocytes. The in vitro matured oocytes were divided into two groups, the first was vitrified using conventional French straws, while the other was vitrified using Cryotops. DNA fragmentation level was evaluated by means of comet assay. There was a significant increase in the incidence of DNA damage after vitrification with both methods compared to control. The percentages of DNA damage of vitrified thawed buffalo oocytes were significantly higher in straws than Cryotops. The second experiment evaluated the effectiveness of application of the brilliant cresyl blue (BCB) stain on the selection of immature buffalo oocytes quality. Oocytes were classified according to their cytoplasmic coloration: blue coloration (BCB+) and colorless (BCB-). Both types were matured then vitrified and compared with non stained mature oocytes vitrified by straw methods. Significantly higher DNA damage was noted in both BCB+ (P < 0.05) and BCB- (P < 0.001) oocytes, compared to non-stained vitrified oocytes. The percentages of damage were significantly higher (P < 0.05) in BCB- than BCB+ oocytes. In conclusion, DNA is a target of cryoinjury in vitrified buffalo oocytes and the damage decreased when using Cryotop than straw. Immature oocytes subjected to brilliant cresyl blue staining show a tendency towards DNA damage. El-Sokary, M. M.M., Kandiel, M. M.M., Mahmoud, K. Gh. M., Abouel-Roos, M. E.A., Sosa, G. A.M. 2013. Evaluation of viability and nuclear status in vitrified mature buffalo oocytes. Global Vet. 10: 297-302. Heleil, B., Fayed, M. 2010. Developmental competence of buffalo oocytes from follicles of different diameters selected by brilliant cresyl blue staining. Global Vet. 4:176-184. Mahmoud, K. Gh. M., M. M.M. El-Sokary, T. H. Scholkamy, M. E. A. Abou El-Roos, G. A.M. Sosa, M. Nawito 2013b. Effect of cryodevice type and cryoprotectant concentration on vitrified buffalo oocytes at MII stage. Anim. Reproduct. 10:689-696. Mahmoud, K. Gh. M., El-Sokary, M. M.M. 2013a. Improvement of the efficacy of buffalo oocytes vitrification. Global Vet. 11: 420-431. Mahmoud, K. Gh. M., Magda, M. Noshy, Youssra, M. A. Mohamed, Amer M. A., Nawito, M. F. 2010b. Genotoxicity of cryoprotectants on buffalo oocytes. J. Reproduct. Infert. 1: 18-25. Mahmoud, K.G.M. 2001. Cytogenetic studies on in vitro fertilization in buffaloes. 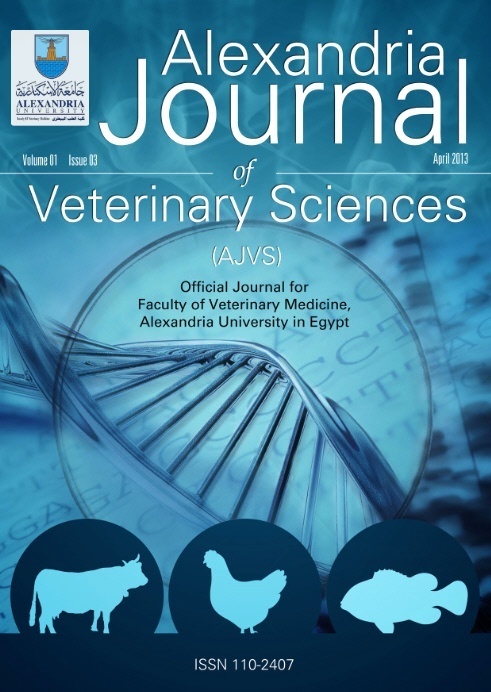 PhD Thesis, Faculty of Veterinary Medicine, Cairo University. Opiela, J., RyÅ„ska, B., KÄ…tska, L. kiewicz, K. 2010. BCB test utility evaluated by caspase-3 activity in blastocysts developed from bovine oocytes different G6PDH level. Ann. Anim. Sci., 10:27-38. Shabankareh, H. K. Azimi, G. Torki, M. 2014. Developmental competence of bovine oocytes selected based on follicle size and using the brilliant cresyl blue (BCB) test. Iran J. Reprod. Med. 12: 771-778. Tice, R.R. 1995. The single cell gel/comet assay: A microgel electrophoretic technique for the detection of DNA and repair in individual cells. In: Phillips SVDH, editor. Environmental mutagenesis. Oxford: Bios Scient. pp 315-339. Sci Rep 2018; 8(1): . Anim Sci J 2018; 89(6): 880.